A few years ago, my wife and I were on vacation in Costa Rica at a resort called Tabacon. 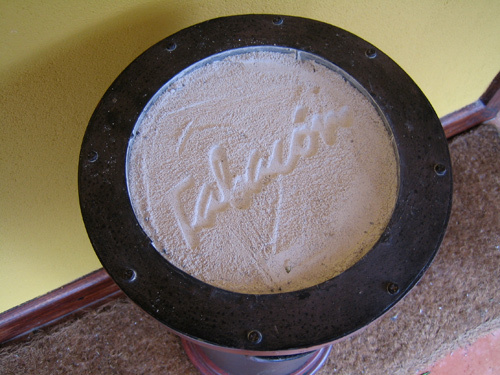 Despite the novelty of sleeping at the base of an active volcano, what I remember most is the hotel staff who obsessively stamped the Tabacon logo into every ashtray. Sometimes I’d muss the sand just to see how long until it got fixed. Not long — the attention to detail was incredible. 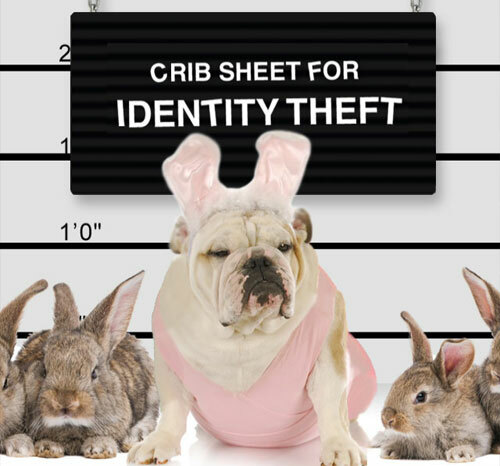 I wanted to bring that same attention to detail to our “crib sheet” app. Sometimes we got stuck. 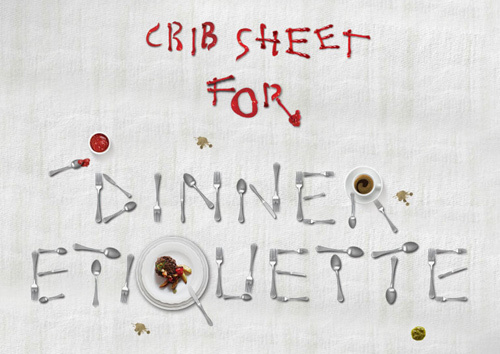 How do you visually present “Dinner Etiquette”? 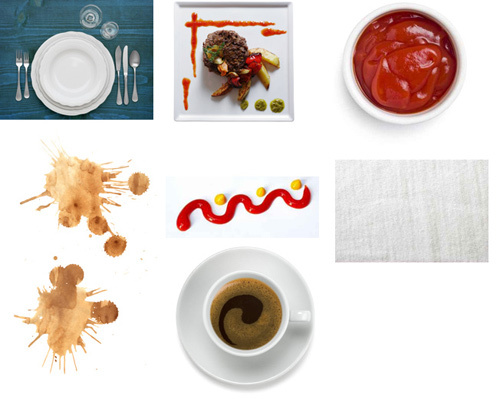 Idea #1: Add the topic name to a dinner menu, but visually it wasn’t very interesting. 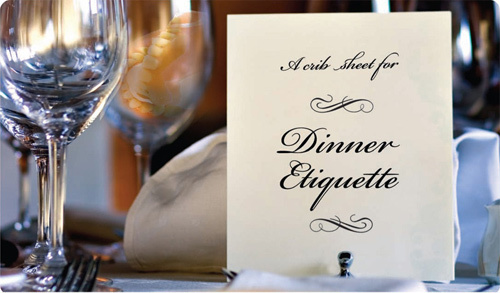 Idea #2: Show a place setting with some dentures in a glass, but the joke was easy to miss. 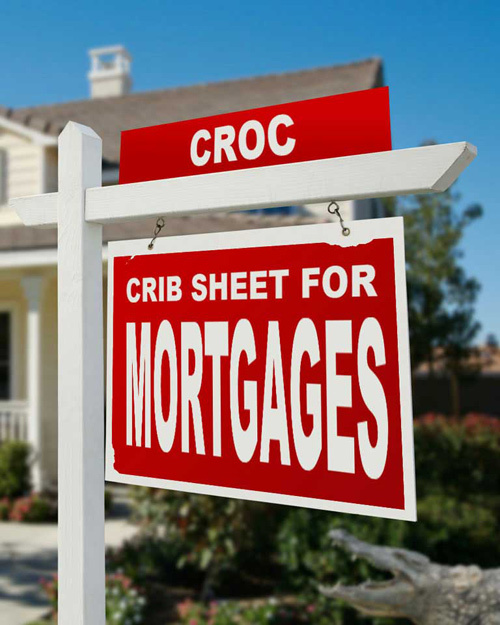 As I created “crib sheet,” I didn’t want to throw a lot of stuff from a customer’s website into a phone and call it an app. I wanted our app to have soul — something that people would proudly share with their friends. We hope you love the details. If you’re interested, see all of our photos on your computer. 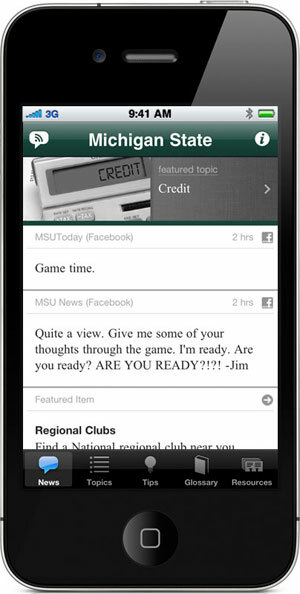 Subscribing to our mobile app, “crib sheet”, or any mobile app, is really about choosing between alternatives — how else can, or do, you communicate with your alumni or members? The annual cost of our app is usually less than than the printing and postage costs of one traditional mailing. Costs aside, our app has a much longer life. It gives you a daily relationship with your alumni. Unlike a mailing, the content of our app refreshes continuously thanks to aggregated social media feeds that keep providing alumni with fresh news. Plus, our app includes a wealth of relevant life skills content so you can both inform and provide value through a lasting reference tool. If your school is “going green”, the app is a paper-free way to reach your alumni over and over again. Your alumni magazine can be a wonderful and rich source of on-going information about your institution, but it only reaches your alumni a few times each year. In the age of mobile information, magazines can no longer compete with apps and social media to deliver timely news. Our app is always with them – informing them of breaking news and allowing them to communicate back to you with key updates. 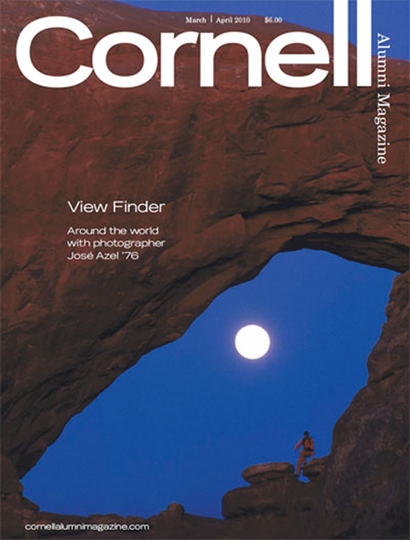 Recent research suggests that alumni magazines are far less popular with younger alumni compared with older alumni. We believe the future of alumni communications is in mobile devices. 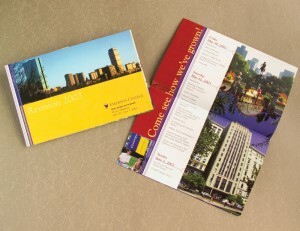 A robust presence on social media sites like Facebook and Twitter is a great low-cost way to reach out to your alumni. – Janey’s pictures of her Costa Rican vacation! – Coupons to Sweet Tomatoes! – Grandma made an omelet for breakfast! It’s easy to roll off someone’s news feed within hours, or even minutes. The only news in our app is your news. Our app keeps your posts front and center, with no competing messages. You know you have choices when communicating with your alumni and members. We feel that our app is a smart choice as it’s inexpensive, dynamic, timely, and valuable to users. 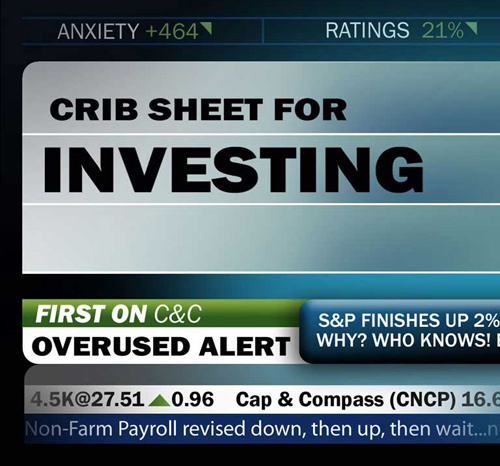 To learn more about what “crib sheet” can do for your institution, please join one of our upcoming free 30-minute webinars or contact us at sales@capandcompass.com. Everyone in my home loves clementines. They’re sweeter and juicier and easier to peel than the ordinary oranges. 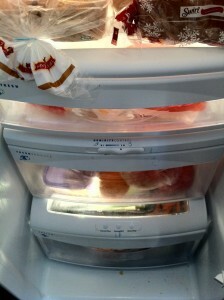 Just the other day, Nicole purchased a big bag and put them in our fridge. When I heard about this big news, I immediately pulled out two and ate them like candy. 9. closing the refrigerator door. Easy enough? Yes. But these small speedbumps were enough for me to say to myself, “I’ll just get one when I come back downstairs.” And then I forgot. 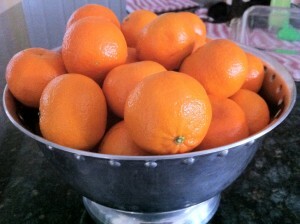 And I wasn’t alone – over the course of the week, the clementines in my home weren’t “selling”. They were loved, but they were out of sight and less-than-easy to get. Nicole, who actually thinks about things like “marketing” healthy food to our family, pulled the clementines out of the fridge and put them on the kitchen counter in a shiny bowl. Unsurprisingly, every clementine was eaten in three days (mostly due to me). So what changed? The clementines were now in my line of sight and super accessible. Everyone knows that a figurative “speedbump” slows down action, but few people appreciate that even the smallest speedbumps can have a big effect. In the making of our app, we asked this question: How can we remove every single speedbump for users so that they return to our app over and over again? Below are two examples of decisions we made to address this question. We built our apps as native apps (apps built for specific devices) rather than creating a mobile website (cheaper alternative). By doing this, users always have an app icon on their phone. Why is this important? Because the clementines should be on the kitchen counter. 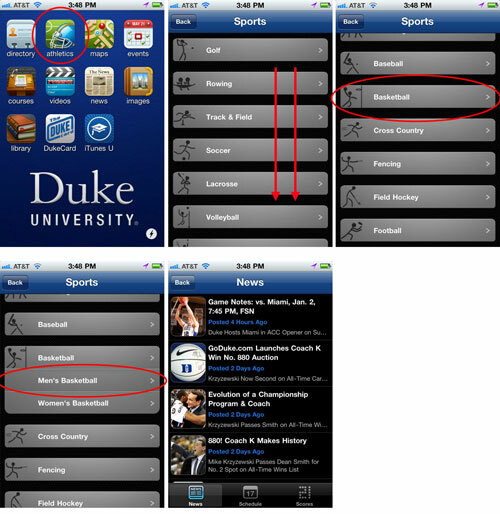 Every time a user looks at their phone, they’ll have the chance to see their school’s logo in a pretty box and tap on it. Users usually return to our app to read current news from their alma mater. So what’s the absolute fewest number of taps to get this news? ONE. When the icon for our app is tapped, the first screen a user sees is their news. Done. We’ve seen some other apps that take a different approach. Why is five taps too many? Because the clementines shouldn’t be buried in the refrigerator. A few extra taps can mean the difference between returning or not returning to an app. When you’re planning an event or asking for your alumni or members to do something, think about the smallest of speedbumps. Removing these can make all the difference. We focus on providing fantastic products at a price that’s affordable for everyone. We do this by running smart and lean without cutting corners. The development of our app’s promotional video is a good example of this philosophy. After reviewing some of the “big fish” in this niche market, like Common Craft, I felt their services were too expensive (over $15,000 for a 90 second video). Through a few freelance sites, I interviewed and reviewed the work of a number of talented artists who create explanatory videos (I’ve learned a niche exists for everything). I try to keep the “smart and lean” approach when producing our books, developing our app, and even in our home life. 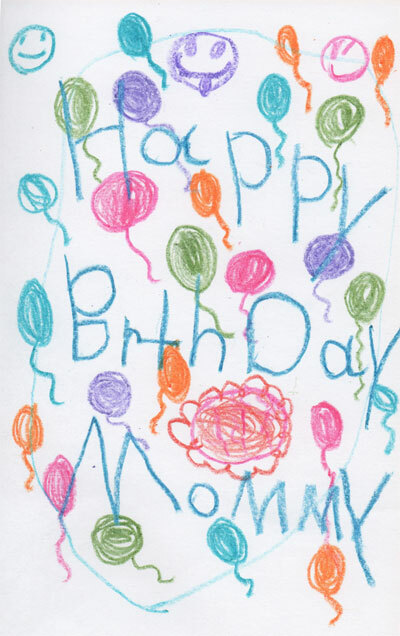 I always ask my daughter to make handmade cards. They cost a lot less to produce than store-bought, and come with highly customized art for my wife. As an organization looking to build loyalty on a limited budget, don’t always go with the first or easy choice. 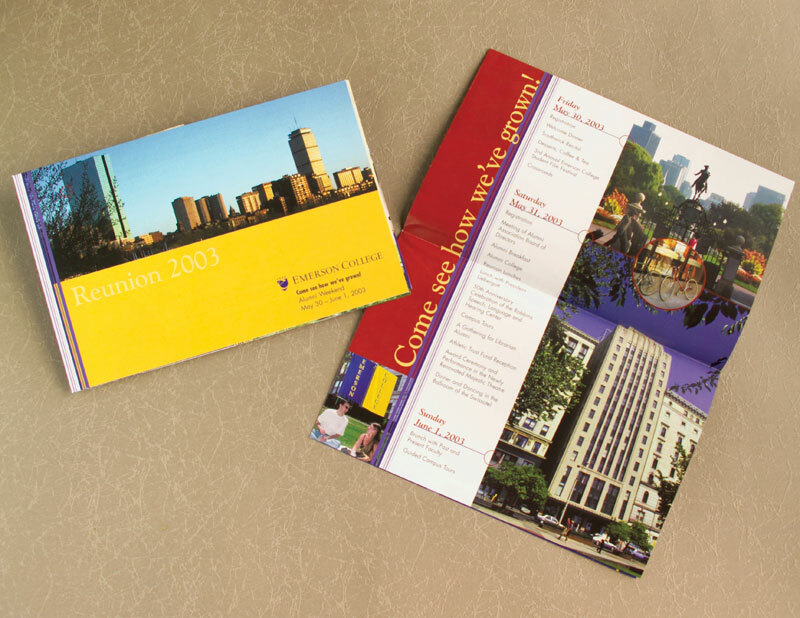 Spend the extra time to find low-cost, creative solutions to reach your alumni and members. Or just buy from us.